Sunday 18 June 2017. 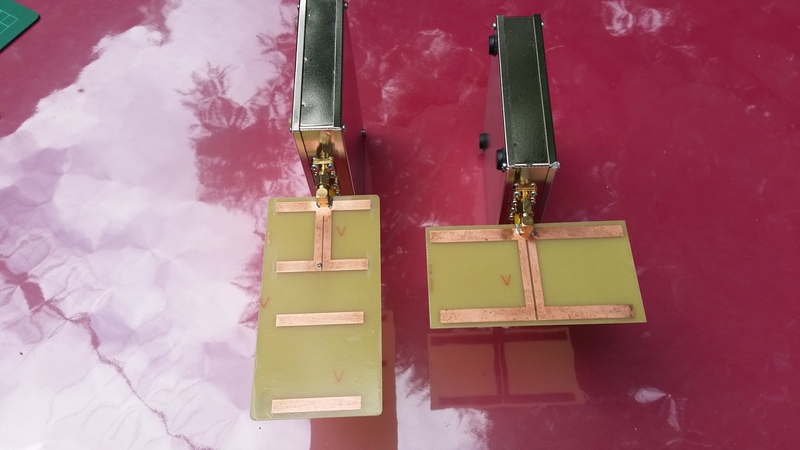 I recently purchased a new 2.5 watt 23 cm 1296 MHz transverter from SG-Lab in Sofia Bulgaria. 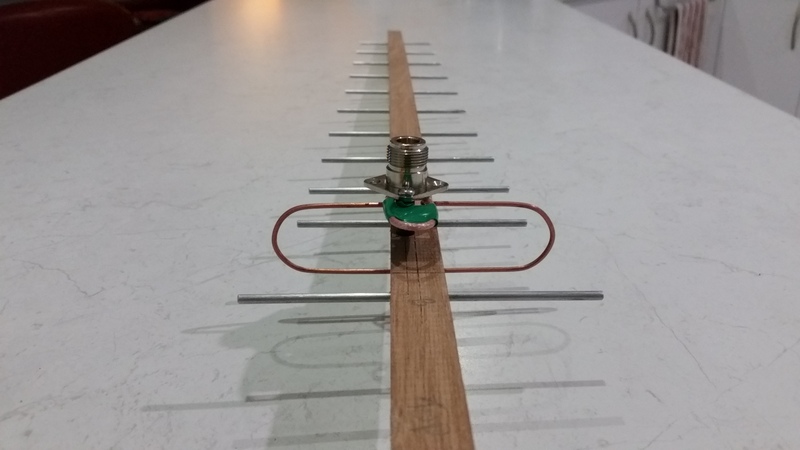 The package includes a 2el HB9VC PCB yagi which has turned out to be a great addition for portable work, particularly from a hilltop with a good uninterrupted view of the horizon. Today from the summit of Mt Taylor VK1/AC-037 locator QF44MP, I worked Rod VK2TWR in Nimmitabel over 130 km, not bad for 2 watts in to a tiny PCB antenna. 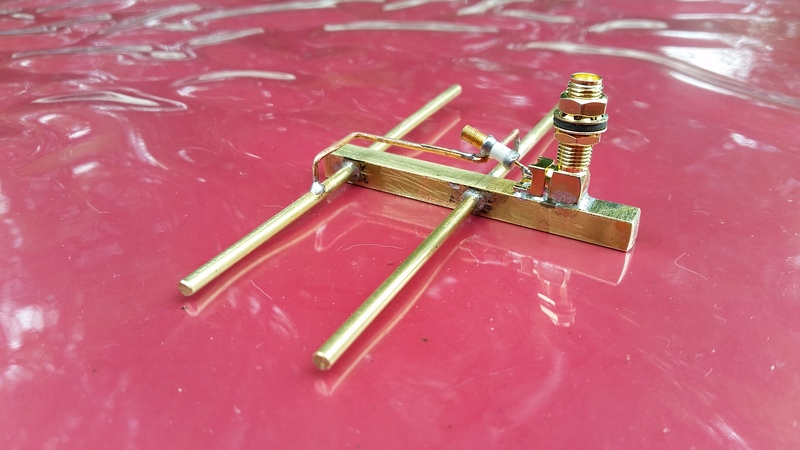 While the PCB antenna is a great addition to the SOTA kit, be it for local summits or perhaps on a long hike 10 km or more, what I really need is an antenna with a fair amount of ‘oomph’ that’s non-techo speak for antenna gain, whilst keeping weight and size or length within reasonable limits. 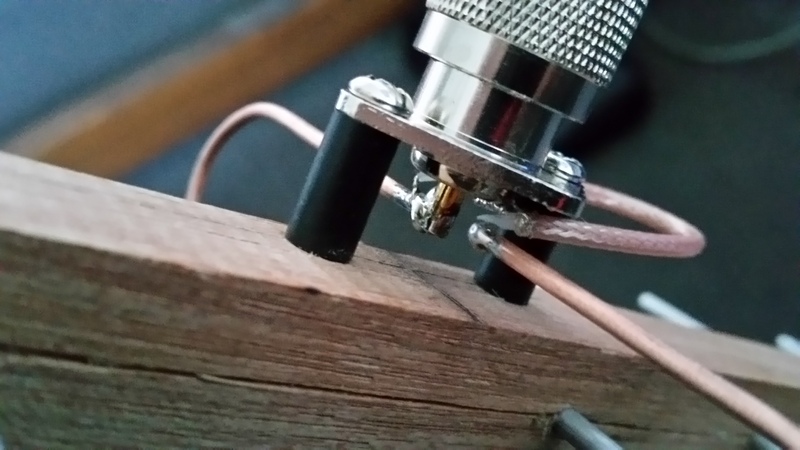 For SOTA purposes, keeping antenna construction as simple as possible is a key attribute to a successful activation. 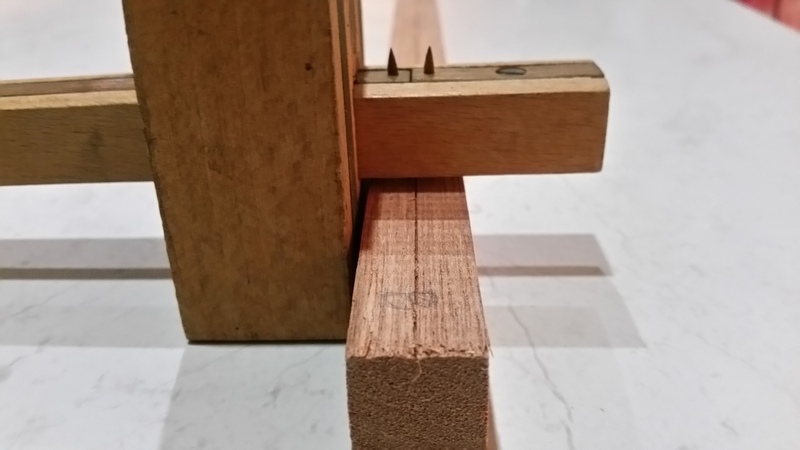 When Murphy’s Law bites and it will, simplicity in design and construction is the key to a quick recovery. 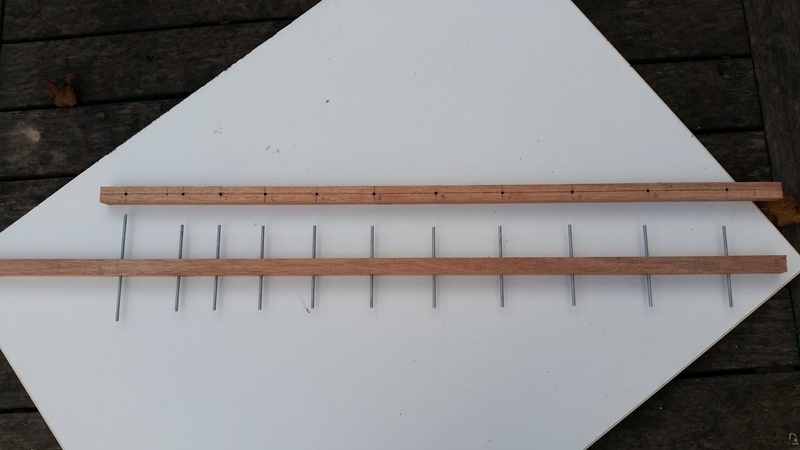 I have decided to build two 23 cm (1296 MHz) 12 element Yagi antennas (DL6WU format) one with ‘handle’ space behind the reflector and the second to mount on a camera tripod. I figure two antenna options are better than one, plus phasing two in a stack would make for an interesting option! 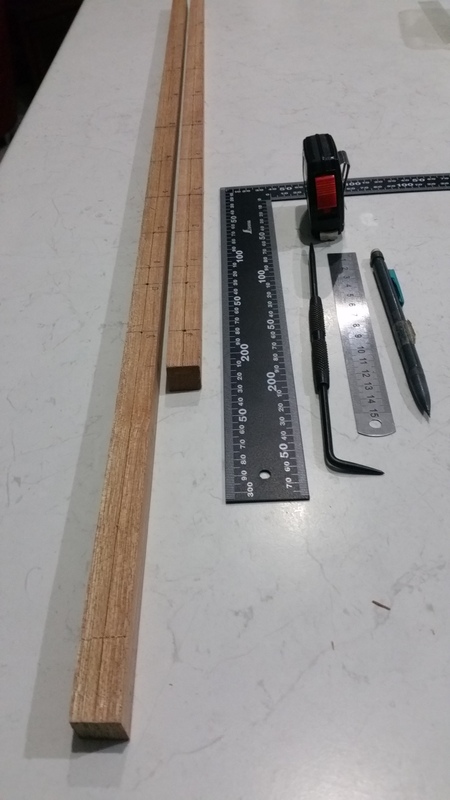 To simplify the construction and to keep weight down I am using 18 mm square Western Red Cedar as the antenna boom. 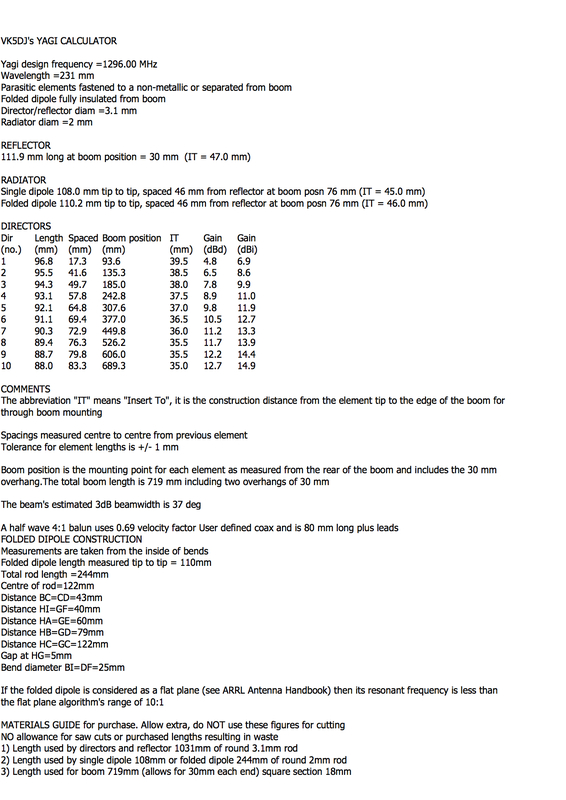 I am using Yagi Calculator, written by VK5DJ to generate the element lengths and spacings. At 1.2 GHz accuracy in element lengths and spacings are equally important. 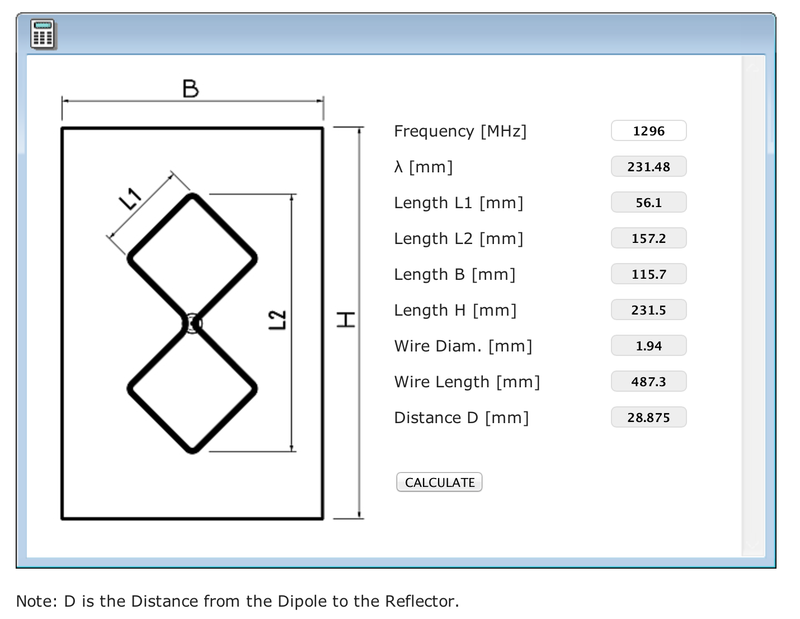 My spacing tolerances are +/- 0.5 mm while reflector and director element lengths are within 0.01 mm. Design details are shown at the end of this post. Post update. 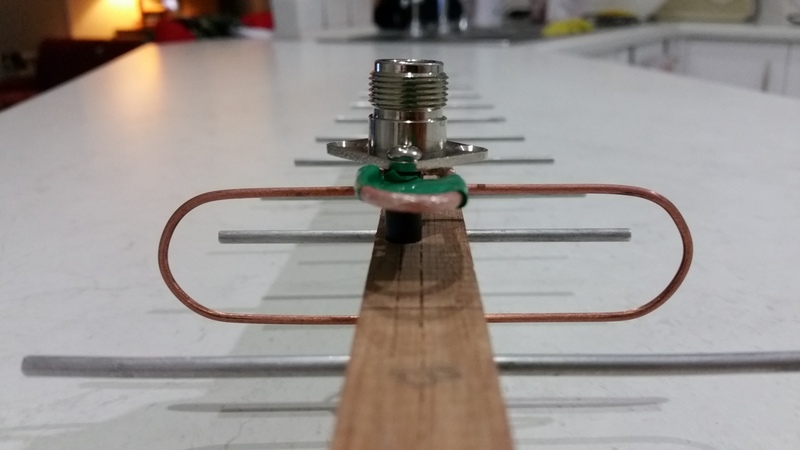 Since building this antenna I have constructed an all brass 6el 23cm yagi.. 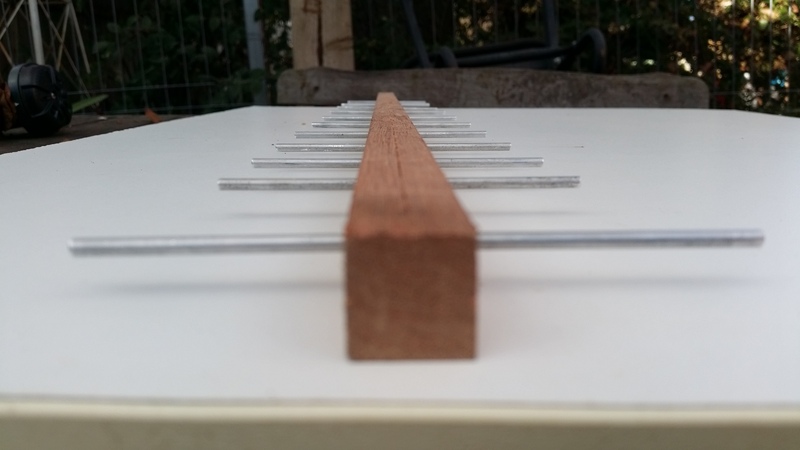 I used a marking gauge to mark the center line on opposite faces of the wooden boom. Marking out element positions on each boom is a lot of fun, measure twice and mark once. I used the tip of the scribe to mark the hole positions. Make sure you mark the position of the driven element, you will need a reference point later. 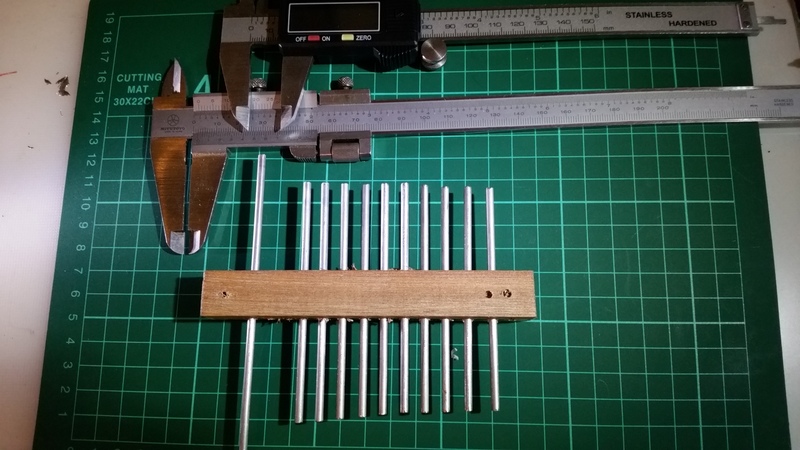 The 3.1 mm aluminium reflector and director elements are cut with a fine hacksaw then filed to their specified length. 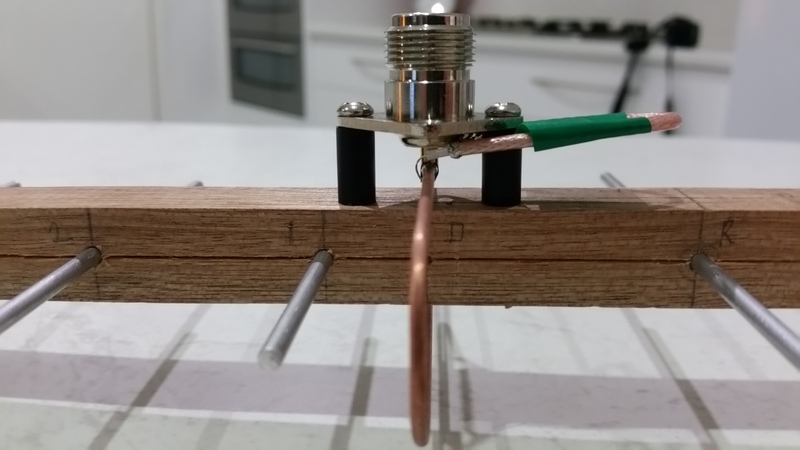 Each element is measured with a vernier caliper to within 0.01 mm. For the time being the elements are stored in a blank section while I continue work on the boom and the driven element. 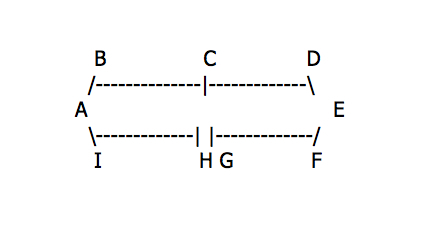 I marked out each of the folded dipole point-to-point measurements. 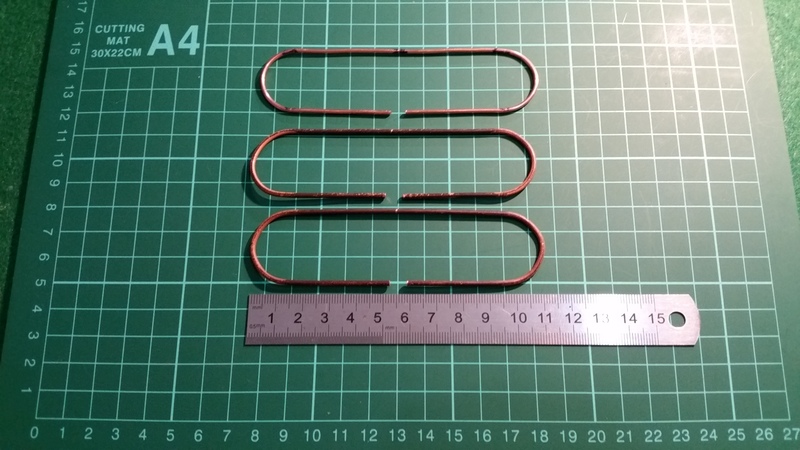 I had a practice session at folding a driven element of 1.7 mm soft copper wire around a short length of 23 mm dowel. 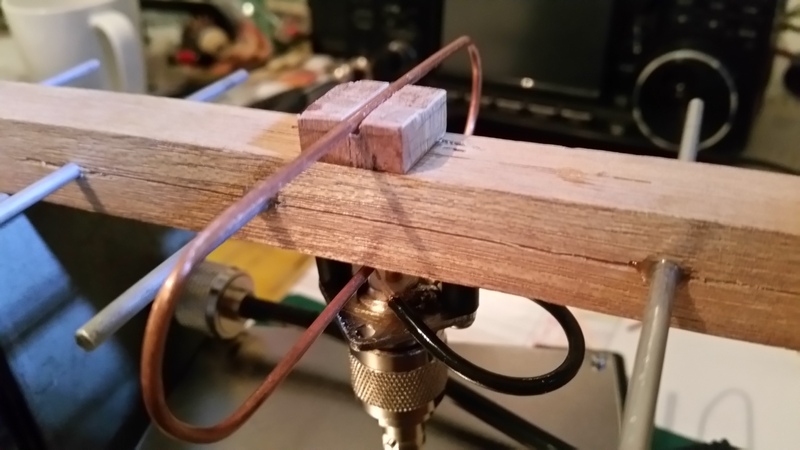 This is not the intended finished driven element, however it will serve me well for a shorter 5el yagi. 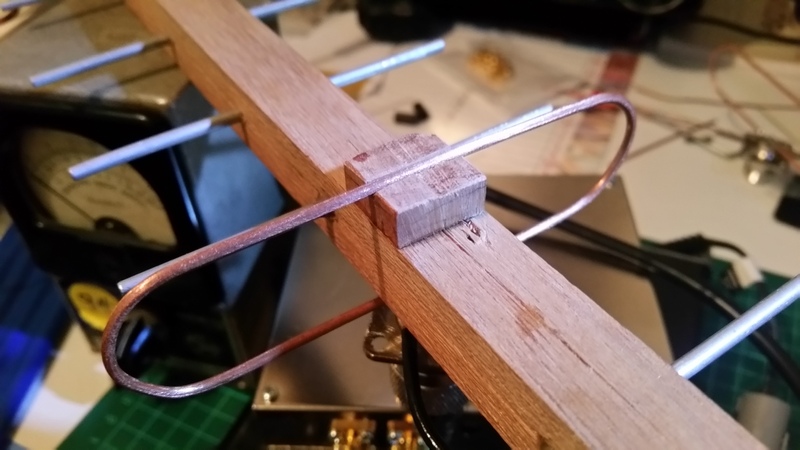 1st attempt at folding a 1296 MHz folded dipole by hand. Drilling the boom. I started with a 2.5 mm pilot drill followed by with a 3.3 mm drill bit. 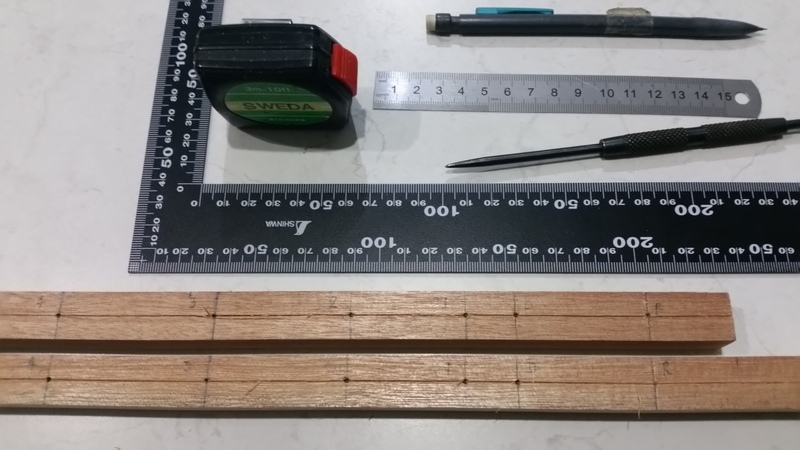 All holes were drilled using a drill press. Back to the driven element.. 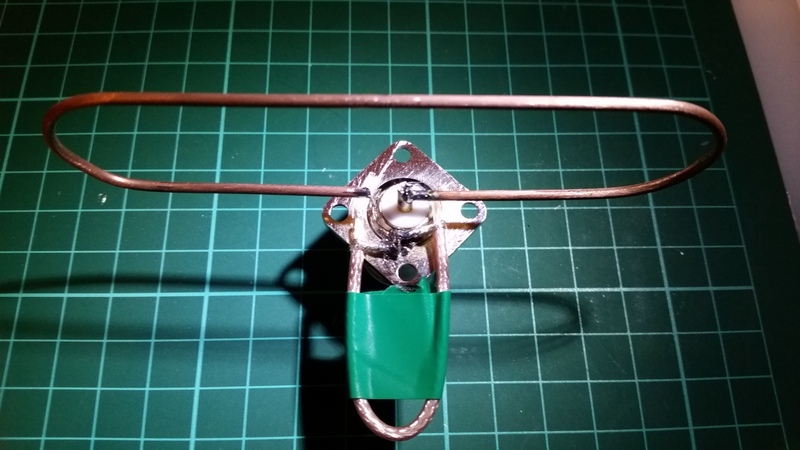 I used emery paper to remove tarnish from the folded dipole which is now ready for a drop of solder. You will note the socket pin is soldered to one end of the open loop. This offsets the N Type socket by 3 mm to the left or right of the imaginary center line. 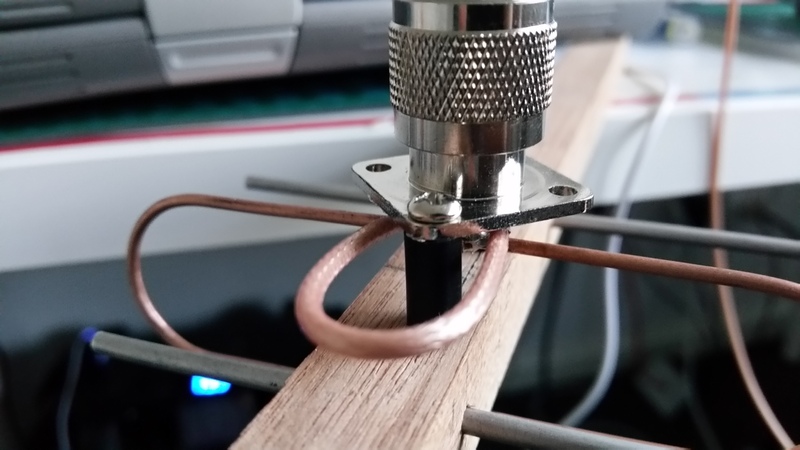 It is important to remember the 3 mm offset when mounting the socket/dipole assembly to the boom, else the folded dipole will not be centered to the axis of the boom. Next fabricating the RG316 1/2 wave balun and cutting a garden sprinkler riser to make a pair of spacers to fit under the N Type socket. 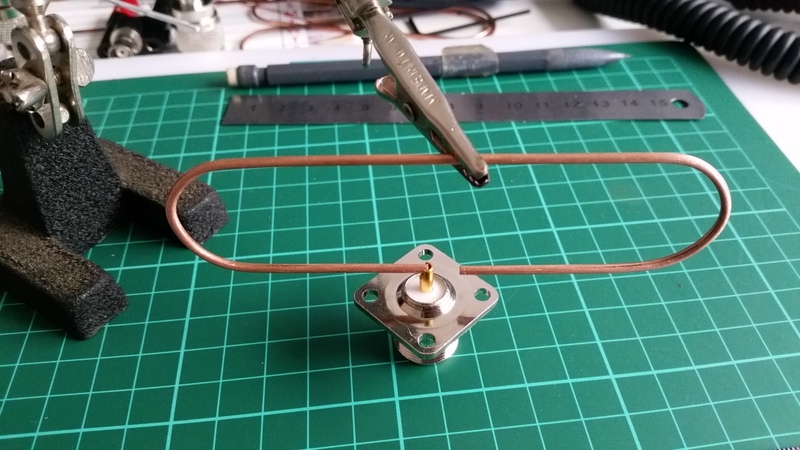 Folded dipole and N Type socket ready for soldering. Use a small needle file to remove the socket plating and expose the brass. 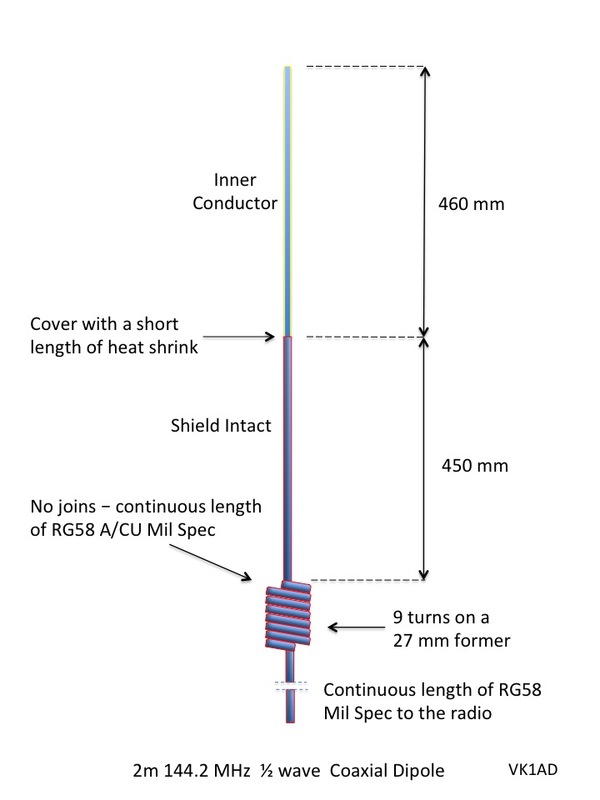 If you know the secrets of working with RG316 particularly the center conductor, I’m all ears. 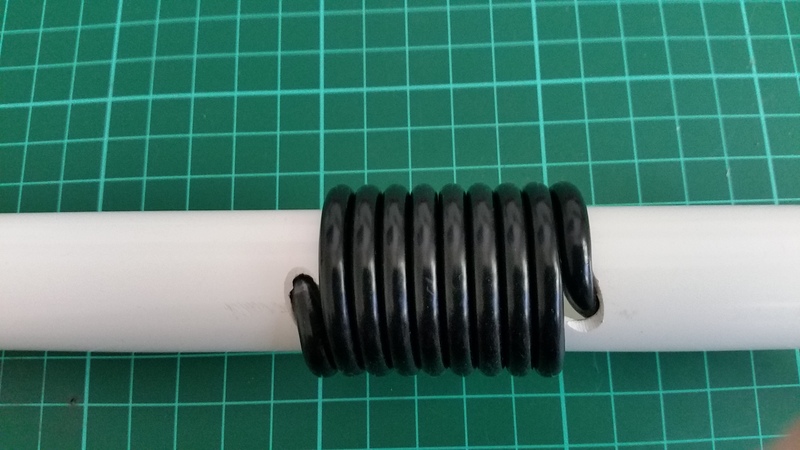 BTW, I am using quality 316 (silver plated copper wire with a Teflon (PTFE) dielectric) from Mini Kits in South Australia, which isn’t the copper coated steel (CCS) variety. Now I know why the CCS version is popular with radio hobbyist like me, it’s difficult to cut through the center conductor. Ha ha..
RG174 may be a practical alternative. Remember to adjust the length based on the cable’s velocity factor (vf). Next is the tricky part. 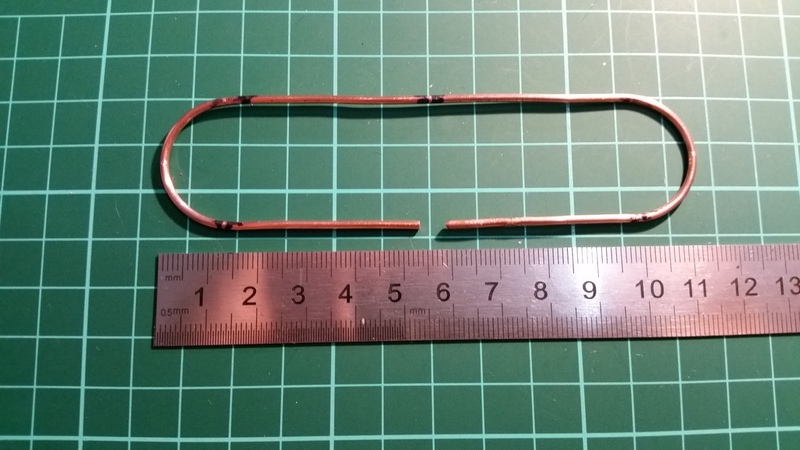 Without destroying the integrity of the balun with an overzealous soldering iron, carefully solder the ends of the balun center conductor (I put so much effort in to that bloody balun!) to the driven element ends, plus solder the outer braid of each end to the N Type flange. This will test your spirit and endeavour to finish the project. Make sure you leave space around the flange mounting hole to accommodate a spacer. Good luck! As mentioned earlier mounting the N Type socket requires a 3 mm offset due to the 5 mm spacing in the loop ends, if not the driven element will not be centered to the axis of the boom. Use the marker gauge to mark the offset line. Accurate spacing of the assembly above the boom will ensure the driven element is spaced evenly top and bottom. As best as you can have the center of the folded dipole in line with the reflector/director elements. Align the driven element to the markings on the side of the boom. I cut two 13 mm lengths of 6 mm garden sprinkler riser tube. I am thankful the metal support screws have little to no influence on the VSWR reading. Before tightening the screws check the driven element is perpendicular to the boom. You can measure the spacing of the driven element between the tips of the 1st director and the tips of the reflector. N Type flange mount and driven element assembly perfectly aligned to the first director and reflector elements. 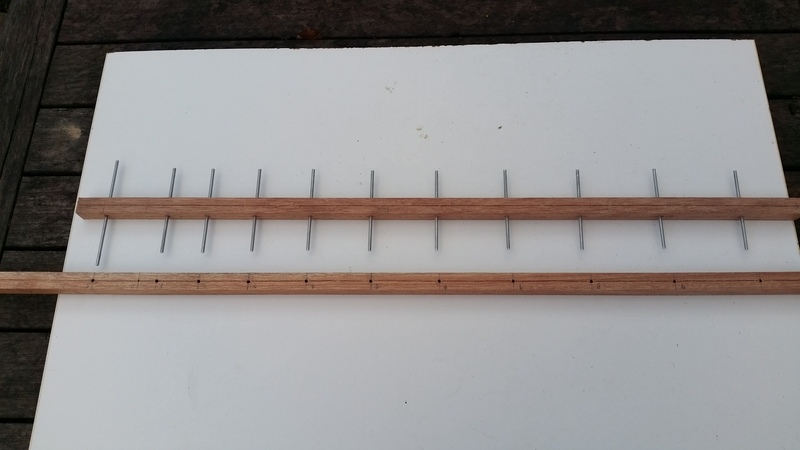 Finished 12el 23cm Yagi ready for SOTA action! To help protect the copper driven element from tarnish I applied a generous coating of PCB lacquer. To help prevent movement of the reflector and director elements, I applied a small amount of Araldite glue to each rod and mounting hole. I haven’t decided whether to treat the wood with a coat of varnish or leave it as is. 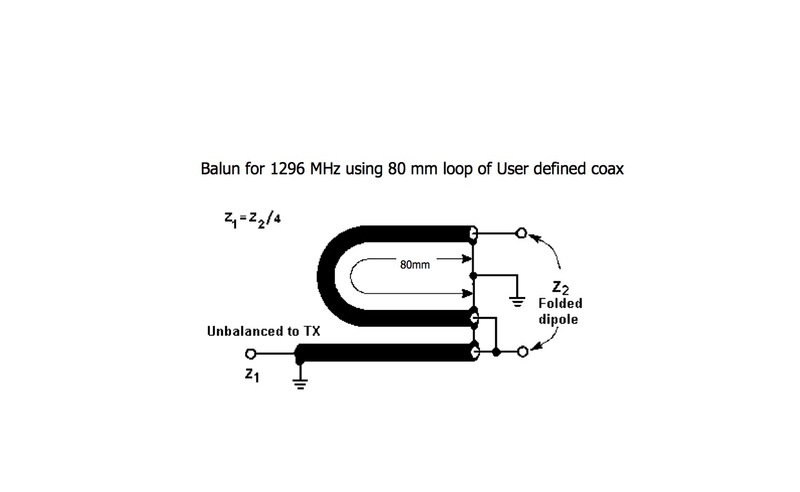 Post update: 1 July 2017, mastering RG-316 1/2 wave balun. Super homebrew work well worth the reblog. Wow – good directional focusing on that one. I still remember the elements of a Yagi – there’s the reflector, driven element and directing elements. Just brilliant work and you had my entire attention as I read through your post. You will have a lot of fun on 23cm from the ACT and surrounds and what a great contact with Rod! 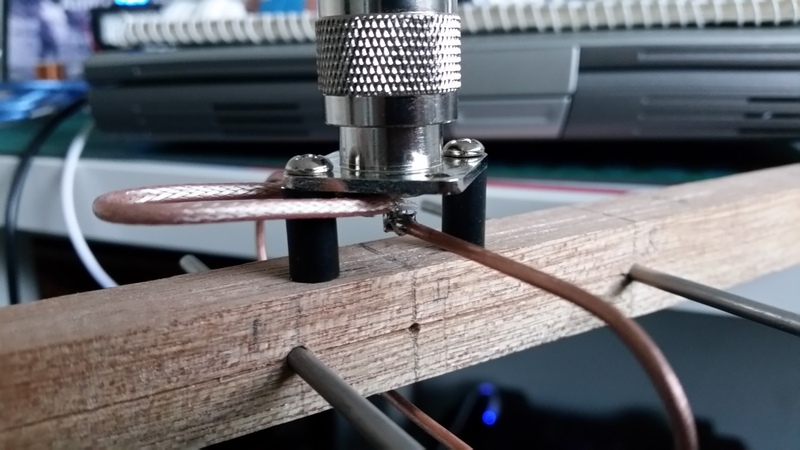 Working with thin coax is, to put it mild, a pain!